Here are excerpts from some of the reviews. Click on the underlined link below the quote to to read the full review. "Readers will get lost in the mountains, crevasses, the higest peaks, the glistening white wonderlands -- and they will come to know right away that even though Mary could feel the freezing temperatures that were mind-boggling harsh, her incredible love for Alaska kept her soul warm. And the tales of the family as well as the pictures provide an intimate and unforgettable look into this mysterious land and the life of a writer that will touch your very soul. Stunning, beautiful, funny, sad - a memoir that will have you taking the chance to find your niche in the world!" "...This is also more than just her memoirs. It's a history of the state at a most exciting time -- the pipeline was built, oil was flowing, and there was a great feeling of expectation and hopefulness. Everyone felt they were destined for greatness, on the verge of wonderful discoveries and challenges. Albanese captures those hopes and dreams in her stories of a young girl, trading certainty and safety for danger and adventure, just like the rest of the people in Alaska in the 1970s. Would that we all could go back to those days." From The Daily News Miner (Fairbanks), January 6, 2013. "This deeply personal memoir effectively captures the trials of breaking into a predominately-male field, coping with severe weather conditions, living on a shoestring and facing down North America's largest predators... does an excellent job of presenting the challenges posed by Alaska's climate, size, and remoteness. Readers need not have an understanding of geologyto appreciate this smoothly paced coming of age tale set in the last frontier." "The title will appeal not just to Alaska armchair explorers, but also readers of women's history, wilderness adventure, and stories of women making their place in historically male-dominated professional worlds. It is an entertaining and heartfelt read... Highly recommended!" "If you're an armchair traveler, you'll appreciate the autho's vivid portrayal of the rugged wilderness of Alaska. There's great humor and love, gritty defeats and painful tragedies, all wrapped up in this engaging coming-of-age story." "An easy and enjoyable read, MIDNIGHT SUN, ARCTIC MOON will appeal to readers of adventure stories and memoir. It will also be appreciated by those looking for strong female characters. Albanese has made Alaska come alive for the reader, and it just may inspire someone to take their own journey up north." "There are two things that really make this book. The author's mantra for life "if at first you don't succeed, try something that's harder," was seen in her decisions throughout the book. Not many readers would be willing to do even a fraction of the things Albanese attempted. Secondly, the description of the far north is just breathtaking. 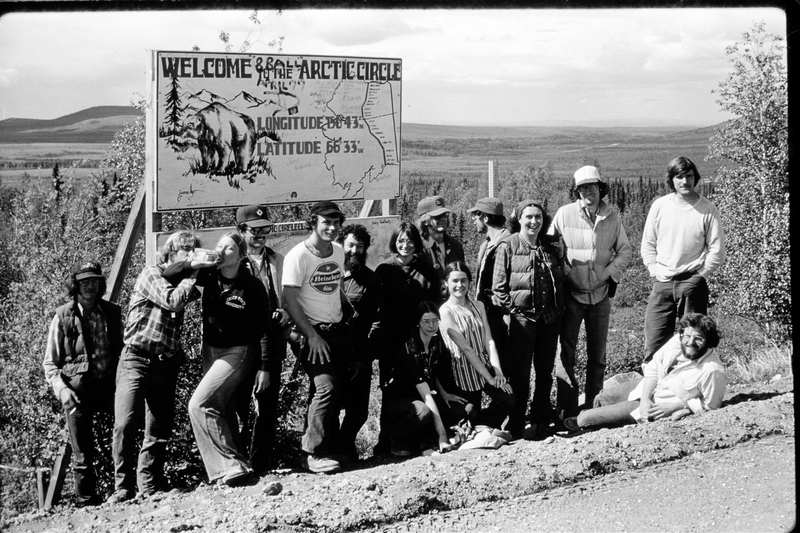 I'm sure that as the years have passed, some of the wildness of the state north of Fairbanks has been lost, but because of the harsh environment, hopefully it will forever by America's last Frontier." "As a work of recent history, personal odyssey, hair-raising adventure and tall tale that just happens to be true, MIDNIGNT SUN, ARCTIC MOON is a winner. Anyone just beginning to dream their own big dreams will find a friend, guide and collaborator in these pages, which may be all the inspiration you need to plot your course." "This is a book I would give to my daughter and say, 'Permission to dream, granted'. " "With 2012 being such a good year for me reading wise, it was quite hard whittling down my list to just 10. Other close conteners were Pride and Prejudice by Jane Austin, Midnight Sun, Arctic Moon by Mary Albanese, The Deathly Portent by Elizabeth Baily, and Treasure Island by Robert Louis Stevenson. I think it is probably a very good thing that I had so many books to choose from. What were your favorite reads of 2012?" "MIDNIGHT SUN, ARCTIC MOON is a pleasant little surprise of a book. Author Mary Albanese writes with a grown-up's look backward at the young woman she was; strong-minded and innocent; open to challenge, but untried by the bad things that life tends to lob at someone with dreams. Readers will enjoy humorous touches of nerdiness in her stories, as well as descriptions of gorgeous scenery. The pain, well, it's fortunately quick, like ripping off a bandage. If your heart longs for adventure, but your situation tells you to sit back down, then at least you can sit with this satisfying book. For you, MIDNIGHT SUN, ARTIC MOON is the right antidote for boredom." "A memoior that is full of rich and eccentric characters with human failings...Framed against the backdrop of Alaska's raw beauty, it is an inspiring story of achievement and hope, wold with gentle humor, compassionate grace, and above all an abiding respect for America's last frontier." "The book chronicles her survival against the Alaskan elements and the extreme conditions of a remote explorer. A strong undercurrent is Albanes's connection with rocks, and passion for the region's reck formations. Rock units are the building blocks of the earth's crust, intricately merged together to provide the solidity in our world, says Albanese. Most people don't ever think of it that way, but it's true. (rocks provide) strength as well as their secrets and their truth. The rocks never lie." "A vibrant and captivating story of tragedy, triumph, determination and hope... takes the reader on an unforgettable journey to the warm heart of America's final frontier. With a keen eye for detail, gentle humor, and the compassion and grace of a skilled storyteller, Mary Albanese delivers a tale that is alternately spellbinding and terrifying, heart-wrenching and inspring, but above all, an extroadinary story exceptionally well-told." "This is the real deal, folks. MIDNIGHT SUN, ARCTIC MOON won't take you long to read. It so accurately captures a time when there was a special feeling you could find only in Alaska, one of hope and innocence and the sky is the limit. I know, I was there and I was taken back there again through Mary Albanes's auto biography. Reading MIDNIGHT SUN brought it all back, just before the lat frontier stopped being a frontier." THE TRAVEL SHELF: "Midnight Sun, Arctic Moon" is a riveting addition to travelogue memoir collections, highly recommended." "Albanese writes well, so well that the book reads like a fictional account of an adventure-seeking explorer. The memoir is not only her story but also the story of mapping Alaska's wild and dangerous geography." "I admit it... I was caught." "a delightful, inspiring, well-written and fast-paced read... an incredible journey of resilience, hardship, education, and self-discovery in her wonderful memoir." SHELF AWARENESS SAYS: "BOOK TRAILER OF THE DAY." "...smoothly paced coming of age tale set in the last frontier." "She manages to caputre the essence of a place, a time and a people during some rarely recorded moments in Alaska's history... an intriguing, entertaining, and informative story seasoned with a dash of humor by a talented writer who has carefully honed her skills." "Spiked with wry humor, Albanese's candid narrative is most effective when she pivots between accounts of surmounting handicaps to horrifying tales of colleagues disappearing in the wilds, being mauled by bears, and falling off mountains." Rose City Reader's "Opening Sentence of the Day"